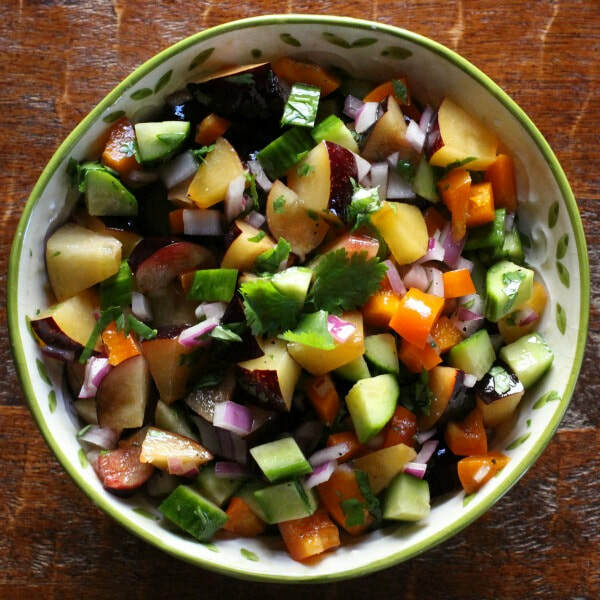 In a large bowl combine plums, cucumber, onion, pepper and cilantro/arugula. In a small bowl, whisk vinegar, oil, salt and pepper. Or combine these ingredients in a small jar and shake. Add dressing to the salad and toss. *Nutrition information does not include salt and pepper.